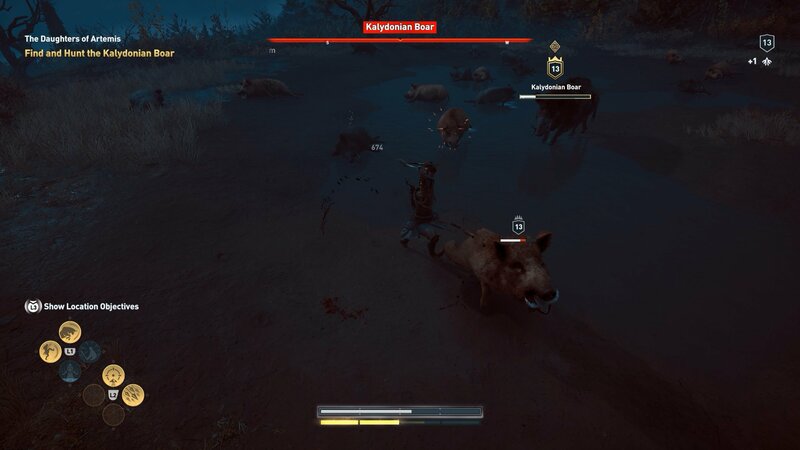 Ideal abilities and strategies to kill the Kalydonian Boar in Assassin's Creed Odyssey. During your time in Assassin’s Creed Odyssey you’ll come across a quest called The Daughters of Artemis, where a woman named Daphnae will send you on a hunt for the Kalydonian Boar. While it might seem simple and insignificant, this boar is one of the tougher fights in the early game and will send even the most skilled players screaming into the night (more on that in a bit). Thankfully, all that frustration is worth it in the end, since the reward for completing The Daughter’s of Artemis is the legendary Artemis’s Bow, which is almost certainly an upgrade on what you’re carrying now. The first part of the fight is going to be rather simple, as the Kalydonian Boar is nothing more than a sponge for damage. It can hurt you, especially if you’re under leveled or playing on higher difficulties, but it’s a game of dodging and dealing damage. If you use your dodge properly, it will slow time and allow you to get some serious strikes in while the boar can’t react. However, after you’ve taken approximately 25 percent of the boar’s health, it will run a short distance away, and that’s when things get squirrely. It’s also worth noting that (credit to Anthony Kongphan) you could leave one small boar alive, although at very low health. The reason for this is that it seems only four small boars can be in play at one time. Keep one alive at low health, then get back to work on the larger Kalydonian Boar. After you cut away more of its health, three small boars will join the critically wounded one. Kill the critically wounded boar quickly and you’re back to only three in play. 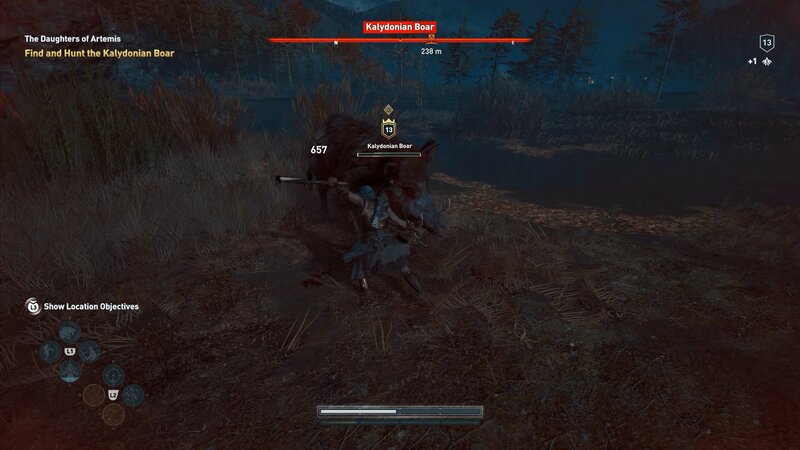 The Kalydonian Boar will spawn smaller boars at approximately 25 percent increments of its health bar. Once you eliminate the smaller boars from play and are below the 25 percent mark, it’s just you and the Kalydonian Boar. 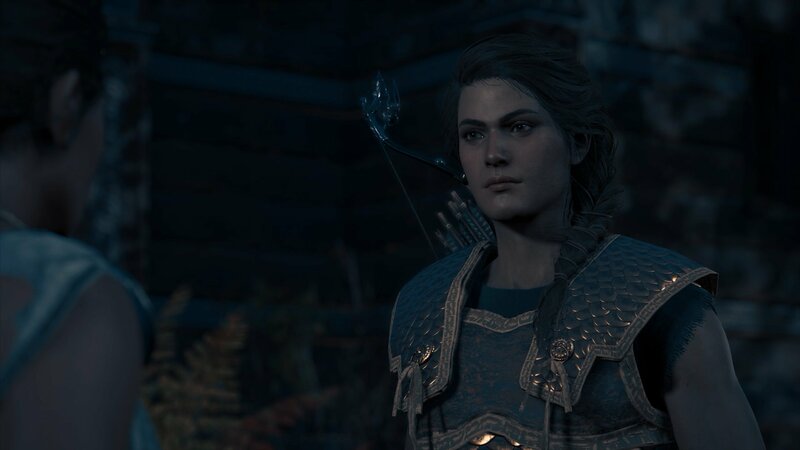 Kill it and return to Daphnae to finish The Daughters of Artemis quest and claim the Artemis’s Bow, then check our Assassin’s Creed Odyssey walkthrough and guide for more help killing all the things in Ancient Greece. I've also beaten the boar, after a few deaths. I was level 17, it had level 16, difficulty on normal, and still the damage I received was high, especially from the smaller boars. - beat it and the smaller ones without leaving the cave. Inside the cave the boars have little place to run, and if you go in against the back wall, there is no chance they can surround you of come from behind. Most important thing about this: when you swing your sword you charge your adrenaline from every enemy you hit. In this case, most of the time you damage at least 3 boars with each swing, so the bars fill up very quick. And when you unleash the Overpowered skill, it damages at least 3 boars at once, if not all. Recharge fast, do the damage again. Move fast and don't stay still, dodge if necessary even if it will be "in place". The fight doesn't take long, in my case it lasted about 1-2 minutes.